Create a virtual machine and install its operating system. We've been building new tools for creating virtual machines so the instructions have changed significantly over the past three releases. In Fall Creators Update, Quick Create expanded to include a virtual machine gallery that can be launched independently from Hyper-V Manager. 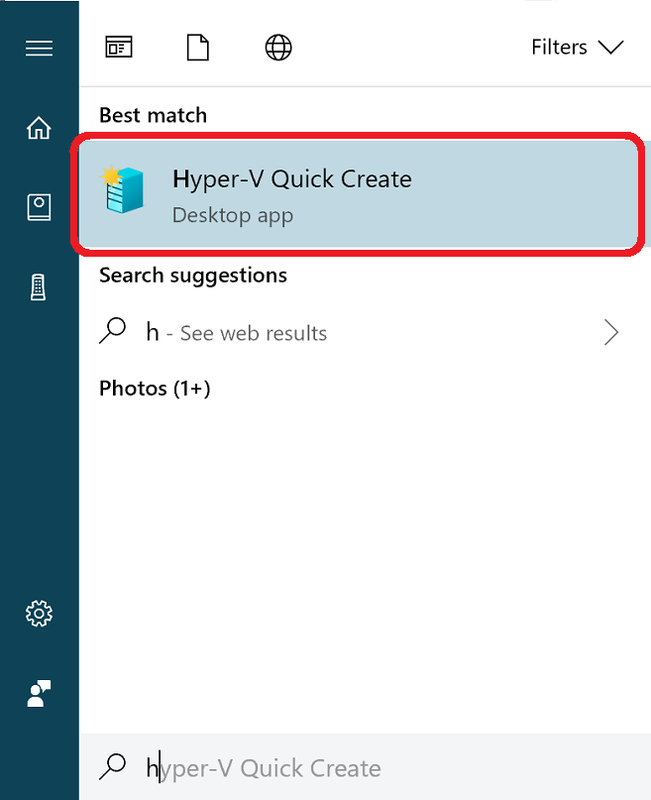 Open Hyper-V Quick Create from the start menu. Select an operating system or choose your own by using a local installation source. 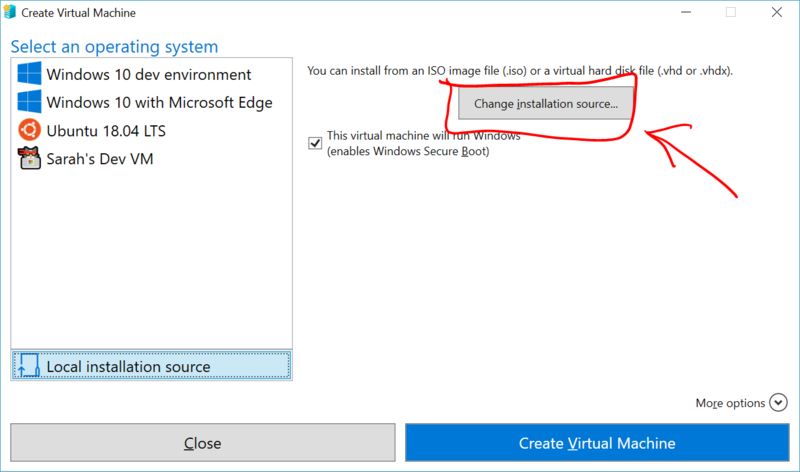 If you want to use your own image to create the virtual machine, select Local Installation Source. 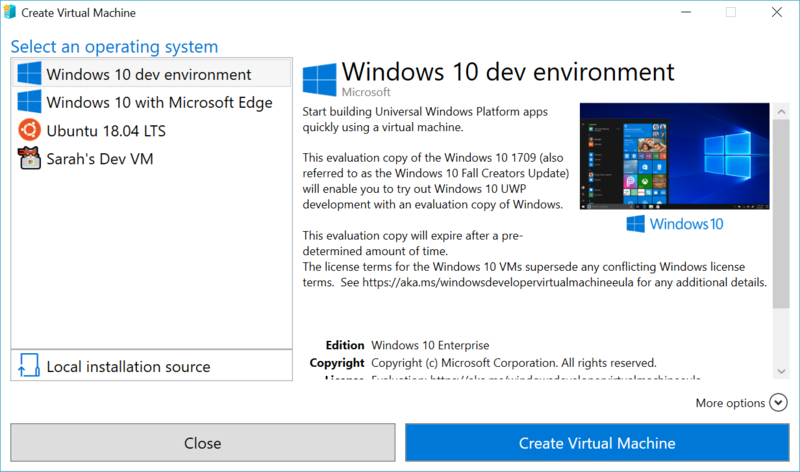 Pick the .iso or .vhdx that you want to turn into a new virtual machine. If the image is a Linux image, deselect the Secure Boot option. That's it! Quick Create will take care of the rest. Open Hyper-V Manager from the start menu. In Hyper-V Manager, Find Quick Create in the right hand Actions menu. 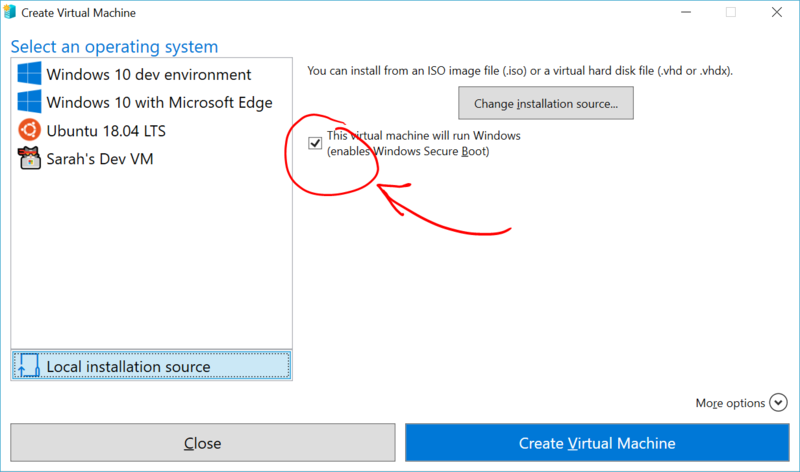 (optional) Give the virtual machine a name. Select the installation media for the virtual machine. You can install from a .iso or .vhdx file. 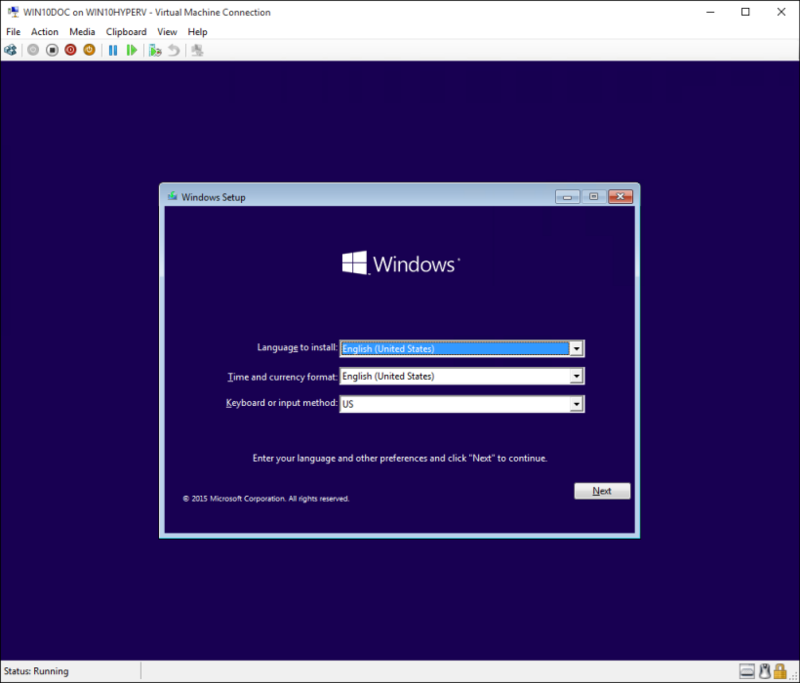 If you are installing Windows in the virtual machine, you can enable Windows Secure Boot. Otherwise leave it unselected. Set up network. If you have an existing virtual switch, you can select in the network dropdown. If you have no existing switch, you will see a button to set up an automatic network, which will automatically configure a virtual network. 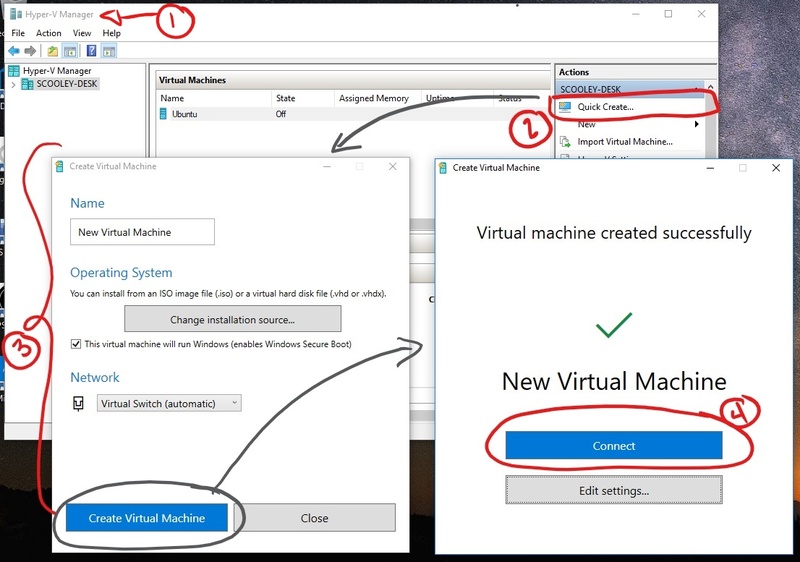 Click Connect to start your virtual machine. Don't worry about editing the settings, you can go back and change them any time. You may be prompted to ‘Press any key to boot from CD or DVD’. Go ahead and do so. As far as it knows, you're installing from a CD. Congratulations, you have a new virtual machine. Now you're ready to install the operating system. Note: Unless you're running a volume-licensed version of Windows, you need a separate license for Windows running inside a virtual machine. The virtual machine's operating system is independent of the host operating system.